Someone prepares to test drive the Electra Mechanica Solo at the Electric Vehicle Association's ElectraFest 2017 in Vancouver. VANCOUVER -- Manufacturing capacity and the lack of different models are restricting growth in electric vehicle (EV) sales, an EV advocate said during ElectraFest 2017 in Vancouver. 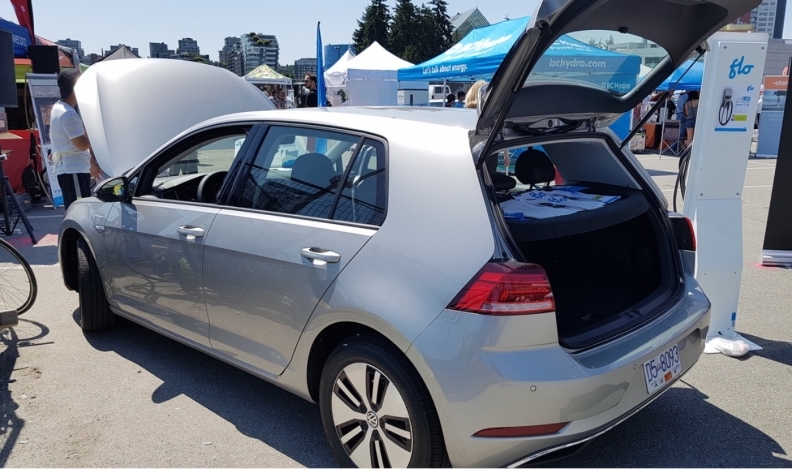 “One of the big barriers we’re finding in this region is actually getting vehicles on the streets is actually quite difficult,” said Brendan James, vice-president of the Vancouver Electric Vehicle Association (VEVA), the ElectraFest host. Canada also is losing out to bigger EV markets such as California when it comes to the limited allocation of vehicles, James told Automotive News Canada at the association’s annual event on Saturday. According to FleetCarma.com, 95 per cent of EVs, including battery and plug-in hybrid versions, sold in Canada are sold in British Columbia, Ontario and Quebec, the only provinces providing serious financial incentives for EV sales. Canadian sales grew substantially in 2016, to just more than 11,000, up from about the 7,000 EVs sold in 2015. First-quarter 2017 sales have continued the upward trend, according to figures compiled by FleetCarma. “Obviously, I think we could do better in every situation,” James said, but he was optimistic about the future. James said he believes government incentives will no longer be necessary when EVs with powerful drivetrains and real-world range become price competitive with comparable conventional models. But he conceded there’s not enough model choice beyond compact sedans. The Volkswagen eGolf is one of the newest EVs offered in Canada. 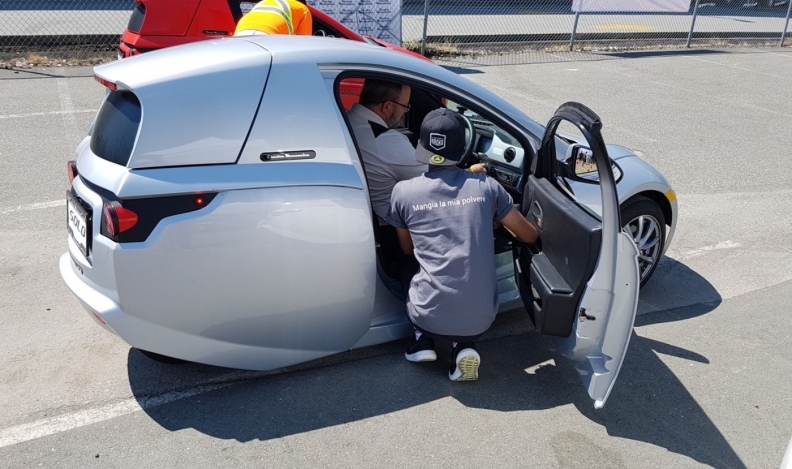 Hundreds of people turned out for ElectraFest, a one-day event on downtown Vancouver’s False Creek waterfront, to look at two- and four-wheel EVs and test drive a few. “This year we’ve got about nine different vehicles that you can drive,” said James. Among the demos were Volkswagen’s E-Golf, Hyundai’s Ioniq and the Vancouver-built Electra Mechanic Solo, a three-wheel single-seat commuter. Tesla and its local owners’ club offered rides in the U.S. EV-maker’s products but no drives.